To make a clean world YHRS110 Road Sweeper Tractor is a good machine for both city and rural road, 4 wheel drive steering with watering , sweeping, guidrail cleaning and high pressure wind sweep functions all on one machine installed, undertaking a range of sweeping tasks effectively and in an environmentally friendly manner. 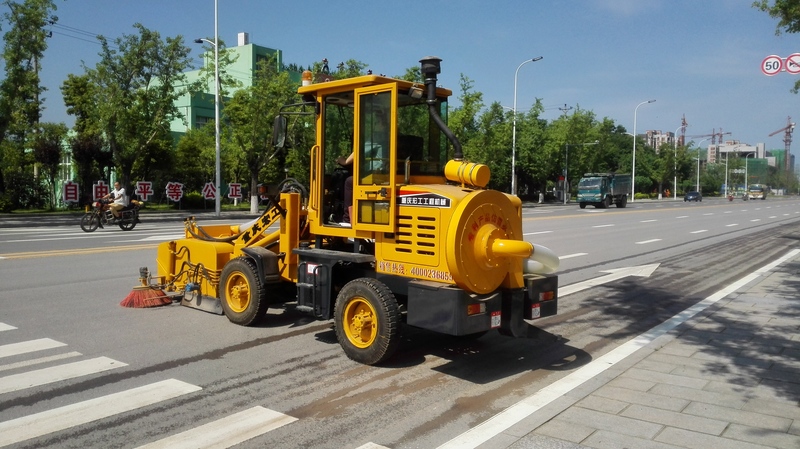 Looking for ideal Road Sweeper Tractor Manufacturer & supplier ? We have a wide selection at great prices to help you get creative. All the County Road Sweeper are quality guaranteed. We are China Origin Factory of Rural Street Sweeper. If you have any question, please feel free to contact us.